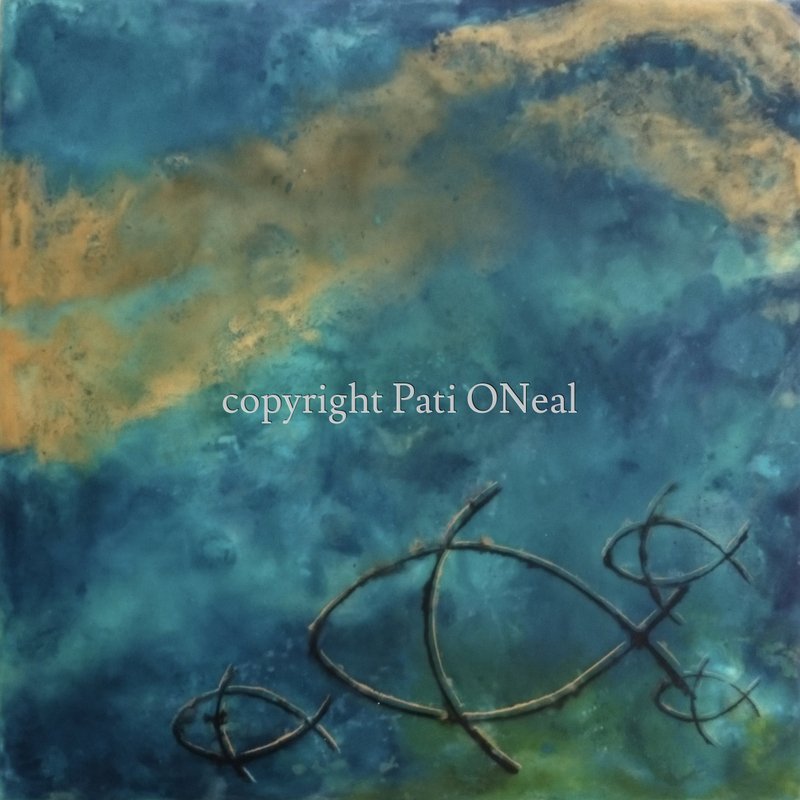 Original encaustic painting representing fish in swirling waters, done on a cradled panel. Currently available at Island Treasures Gallery in Kailua, Oahu. For a similar commission, contact the artist.